Betrothed since childhood to the prince of Mynaria, Princess Dennaleia has always known what her future holds. Her marriage will seal the alliance between Mynaria and her homeland, protecting her people from other hostile kingdoms. But Denna has a secret. She possesses an Affinity for fire--a dangerous gift for the future queen of a land where magic is forbidden. 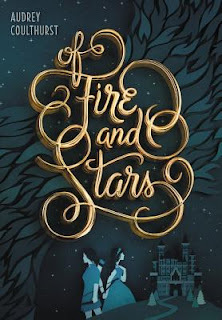 Add your review of "Of Fire And Stars" in comments!